Closed-circuit television, or CCTV cameras, are video surveillance systems that transmit a signal from cutting-edge video cameras to a specific control center used for monitoring the security of a building or facility. ProTech Key & Locksmith performs CCTV camera installation and can assist with the setup, repair and servicing of your surveillance cameras as needed. CCTV cameras were primarily used by large retail businesses, banks, casinos, airports and transit centers, as well as other government institutions. However, thanks to the decrease in costs of cameras and other necessary video recording equipment in recent years, CCTV camera systems are much more practical and affordable than they once were. By allowing ProTech Locksmith to install CCTV camera to your home or business, you’re making yourself, your employees and property that much more secure than they once were. 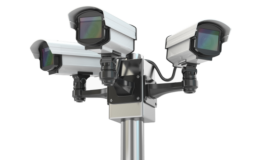 We perform CCTV installations, better known as surveillance cameras. This surveillance camera systems transmit high definition videos to a specific control center where guards or managers can observe what is going on in the building. ProTech also helps with the repairs and servicing of the CCTV cameras as needed. We make sure the cameras run smoothly and without any technical mishaps so nothing is missed that may threaten the security of your business or home. With our regular maintenance, our cameras will meet all your expectations. Keep your facilities safe with our cutting-edge security cameras to help monitor everything that goes on in the building. You can record any suspicious activity and deal with the situation confidently.